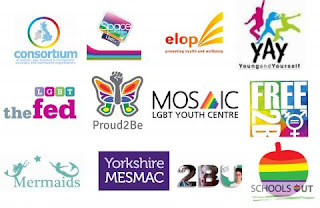 Space Youth Project is one of the 13 Partner Organisations making up The Anti-Homophobic, Biphobic and Transphobic (HBT) Bullying Alliance funded by the Department for Education and Government Equalities Office. The overall purpose of the work of the Alliance is to reduce the incidence of HBT bullying in primary and secondary schools in England by supporting schools to prevent and respond to HBT bullying. 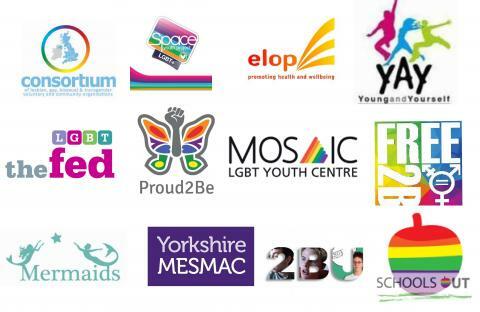 Space Youth Project is working with 40 schools across Dorset, delivering training to the staff, looking at policies, setting up Rainbow Alliances, and more! As part of the Anti-HBT bullying project, Space Youth Project wanted to create a short film to capture the experiences of our young people. Seven young people bravely came together to share their stories of HBT bullying and talking about these kinds of experiences is never easy, but it was inspiring to see how everyone was. For our young people, being a part of something that can bring about change and prevent what happened to them from happening again is priceless. Mel is Space's Education Volunteer, she is a fully qualified teacher, with over 20 years of teaching experience, devoted to bringing LGBT+ inclusivity to the classroom. She is offering free workshops for schools and teachers on how to start that conversation with the students. With younger children, reception/KS1, she uses picture books to talk about the fact that families can be different but still share the same love. With KS2/3 children she gets them talking about gender and how we shouldn’t feel pressurised to behave in a particular way because of our gender. She also uses picture books to introduce what it’s like to be transgender and she talks about HBT bullying and how to stop it. If you are interested in Mel coming to your school, you can further see her lesson plans here and can get in contact with her at education@spaceyouthproject.co.uk. Space Youth Project worked with b-side to create Into Dust, an original song and music video. Into Dust aims to tackle the stigma, social isolation and phobic behaviour around and towards our LGBT+ community (both locally and internationally). AFC Bournemouth pledged their charity policy to support four good causes in the local area for the 2016/17 season, one of them being Space Youth Project! This marked a first for a premier league football club to support a local LGBT+ youth charity in the UK. Although our partnership has ended with AFC Bournemouth, a legacy of support will definitely live on! AFC Bournemouth has gone on to create an LGBT+ supporters group, Proud Cherries, to ensure all football fans are welcomed!